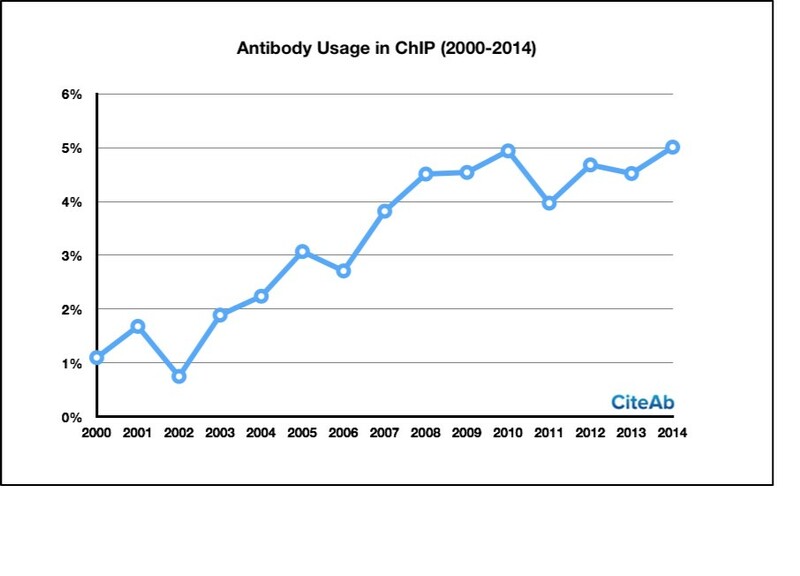 Our latest data from CiteAb suggests that the use of Chromatin Immunoprecipitation (ChIP) has risen significantly over the last 15 years. Here at CiteAb we amass data from the analysis of hundreds of thousands of life sciences publications that use research antibodies, giving a powerful and unique insight into antibody use and market trends. Today’s report looks at trends in the applications used with antibodies over the past 15 years. 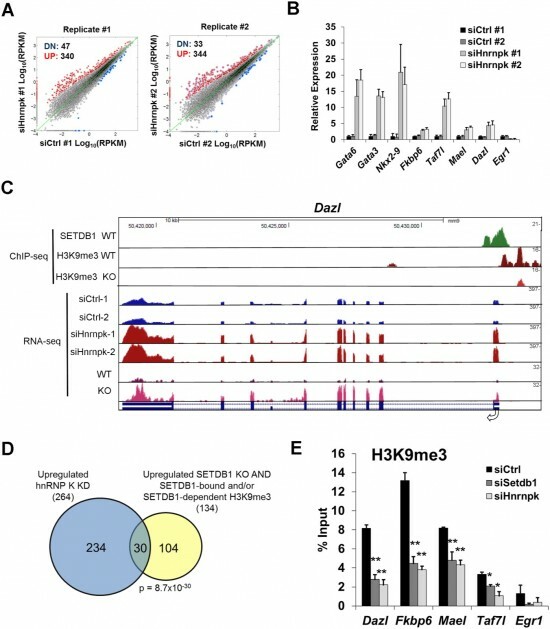 Chromatin Immunoprecipitation (ChIP) has been the application increasing in use faster than any other since 2000. ChIP is a powerful technique which allows researchers to investigate the interactions between proteins and DNA. The technique was developed in 1984 by John T. Lis and David Gilmour, and aims to determine whether specific proteins are associated with specific genomic regions. In developing the technique, the Lis laboratory used UV irradiation, a zero-length protein-nucleic acid crosslinking agent, to covalently cross-link proteins bound to DNA in living bacterial cells. A year later the Lis laboratory used the same methodology to study distribution of eukaryotic RNA polymerase II on fruit fly heat shock genes. These reports are considered the pioneering studies in the field of ChIP. Commenting on this data set, Dr Andrew Chalmers, founder of CiteAb, said: “In addition to demonstrating an increase in the use of ChIP, our data shows that over the last 15 years certain antibody suppliers have developed to dominate the ChIP market. “We classify our antibodies based on their level of validation, so we meet every different researchers’ needs. Our three classes include pioneer antibodies (those confirmed against their targets with no additional data), classic antibodies (those that have been validated by ChIP and ELISA and often by one or two other validations), and premium antibodies (those validated by six different methods including ChIP). Andrew adds: “From our data set we can also identify the research institutions using using ChIP most often. We can see that most institutions carry out lots of ChIP but a few stand out. Citation data for Harvard in the US, and Cambridge in the UK are both high for ChIP. At Massachusetts Institute of Technology over 10% of citations are for research using ChIP. Dr Fiona Wardle, Principle Investigator at Kings College London transcriptional regulation in development through her research. We spoke to her about how ChIP is being influenced by another emerging technology, genome editing by CRISPR/CAS9. You can browse all antibodies for use with ChIP, along with their associated citations, on CiteAb. Do you use ChIP in your research? If so, which companies do you use to find antibodies validated for ChIP? Let us know in the comments below, or send us a tweet @CiteAb. If you’re interested in a quote for the full data set, or in exploring any of the other market intelligence data CiteAb has to offer, drop Matt an email on matt@citeab.com and we’ll happily chat further about your needs.